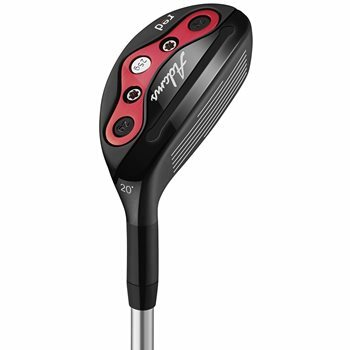 • Smaller 95cc head that can handle a wider variety of difficult shots and is easier to hit from all conditions. • Upside-down head design brings the CG lower, promoting easier launch and greater playability and player confidence. • Trusted and proven Velocity Slot Technology on the sole and Ghost Slot Technology on the crown. • Three transferrable weights on the sole (one 25g & two 2g) can be configured to promote the ball flight that works best.